Today's post takes a look at Capcom's initial ten releases for the NES and how they set the tone for the publisher's 8-Bit success. I took some time off after a successful Summer Of 8-Bit and return to something called #GamerGate. I was under the impression that the hashtag was created under noble intentions, but later discovered that it was nothing more than a ruse created by 4Chan users, scumbags, and trolls to harass a female game developer. They did a good job hiding their true intent, and by bringing up a long rumored act of publishers offering payola to game journalism sites for good reviews they called to arms a number of gamers who were already leery of these sites. The thing about the truth is that it always comes to light, and the persecution of Zoe Quinn started to feel a lot like the witch hunt started when Anita Sarkeesian went on a crusade to analyze and bring attention to many of the archaic tropes in gaming. The attacks on both women have been treated by some in gaming communities as if they are some sort of mythical creature, but the threats levied at their families and friends are definitely real. They are so real that Quinn has gone undercover in 4Chan forums and downloaded entire chat logs discussing how they will attack her. In recent discussions with people on assorted social networks, I've discovered that some folks truly don't believe that the attacks on Quinn are the real problem, but they do believe that #GamerGate is all about exposing some secret conspiracy hatched by government organizations to censor the content of our beloved video games. This all comes off as typical tin foil hat territory, and even if there is some truth to it, that is no reason to completely disregard the blatantly horrible treatment of gamers who aren't straight white males. It does go to show that those who aren't affected by not being privileged don't recognize the problems that some people face simply for existing. The #GamerGate situation is a microcosm of the problems facing society as a whole, but it is more a situation that again makes me ashamed to be a gamer in some instances. 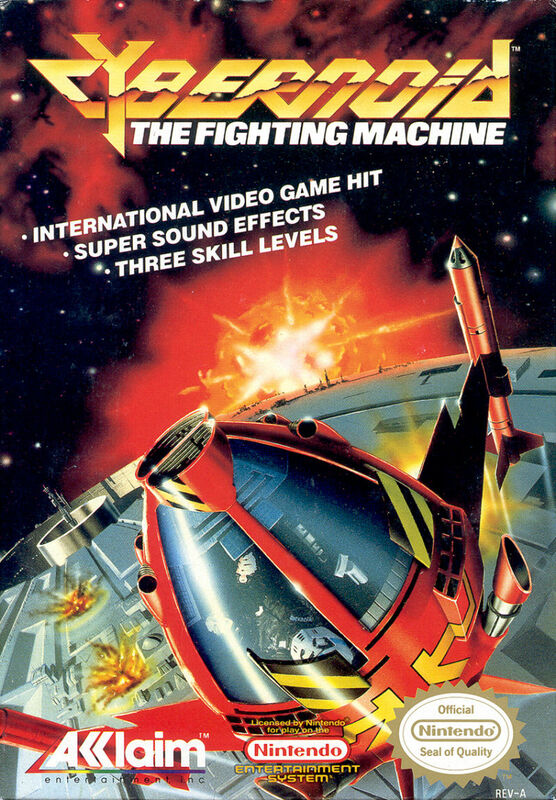 If your crusade was truly about developers and publishers paying off gaming journalism sites for positive reviews, you would point out infamous examples of said practice like former gaming stalwart Gamepro Magazine offering positive reviews in exchange for advertising space. If someone is to ever want to really have that discussion, I'm all in for it. Until then, I advise you all to not believe the hype behind #GamerGate. Today's video takes a look at Ninja Gaiden III from Tecmo. Today's video takes a look at Zelda II: The Adventure of Link from Nintendo. 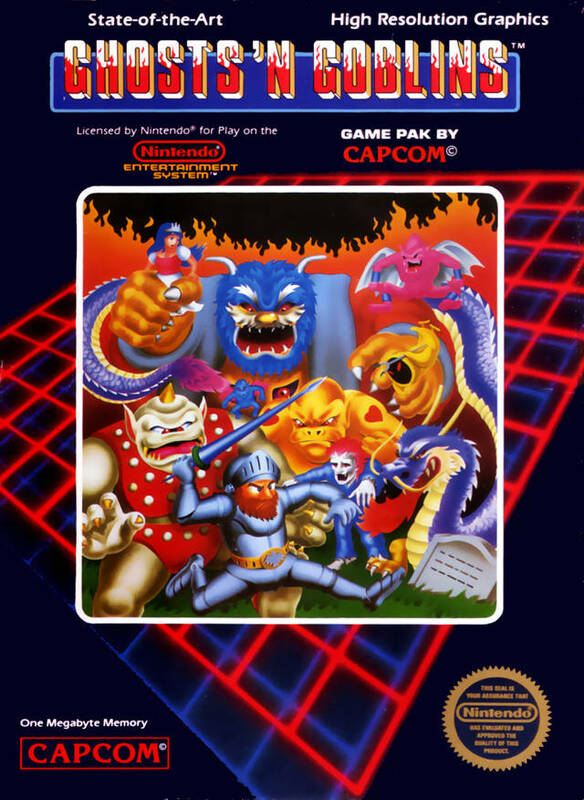 Today's video takes a look at Capcom's NES port of Ghosts 'N Goblins. Today's video takes a look at Summer Carnival '92: Recca from Naxat Soft. 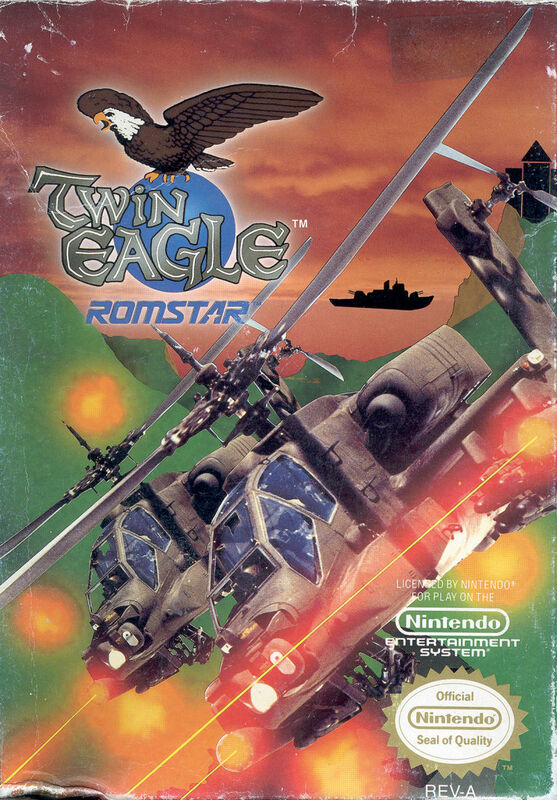 Today's video takes a look at the NES port of Seta's Twin Eagle from Romstar. 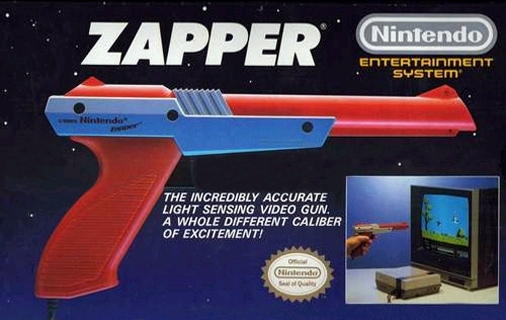 Today's video takes a look at the NES port of Konami's Super C.
Today's video takes a look at The Nintendo Zapper Light Gun. 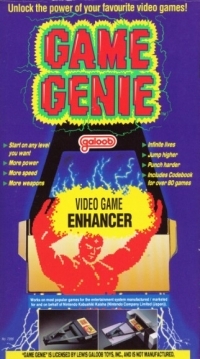 Today's video takes a look at the NES Game Genie from Codemasters. 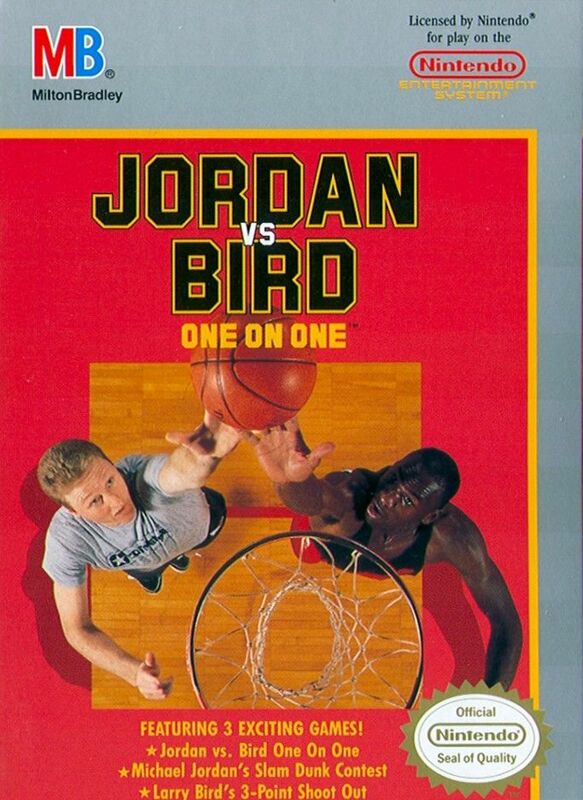 Today's video takes a look at the NES port of Electronic Arts' Jordan Vs. Bird from Milton Bradley. Today's video takes a look at Orb-3D from Hi Tech Expressions. Today's video takes a look at the NES port of Epyx Games' World Games from Milton Bradley. 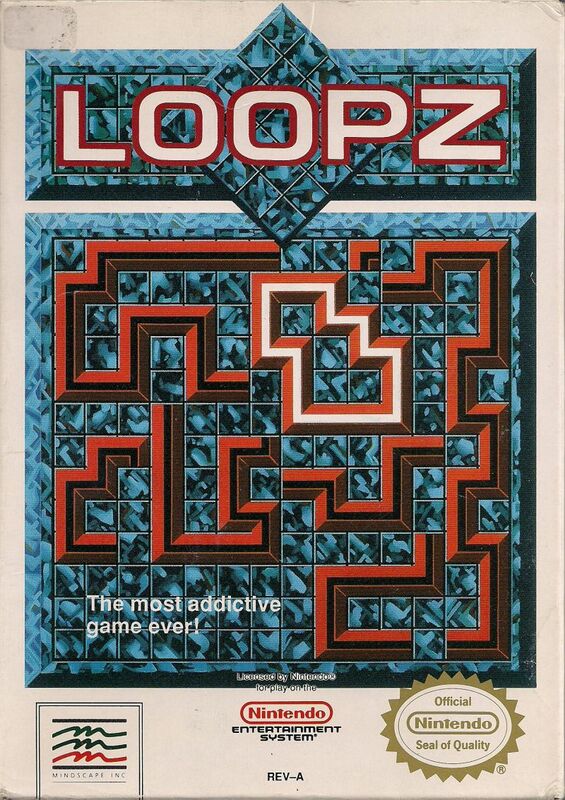 Today's video takes a look at the NES port of Loopz from Mindscape. 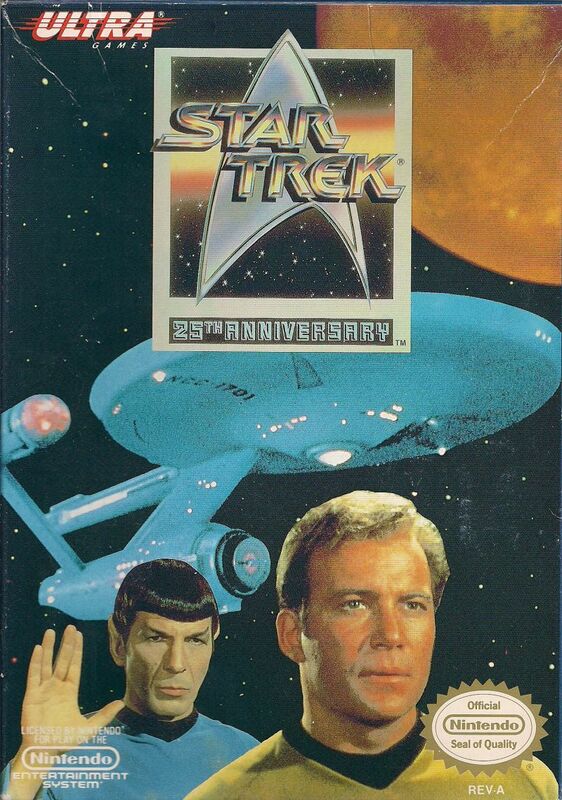 Today's video takes a look at Star Trek 25th Anniversary from Konami. 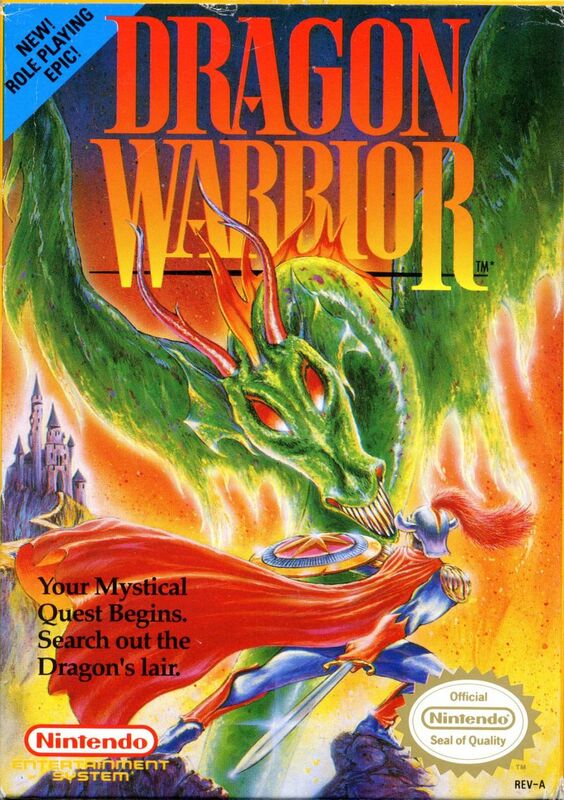 Today's video takes a look at Dragon Warrior from Enix/Nintendo. 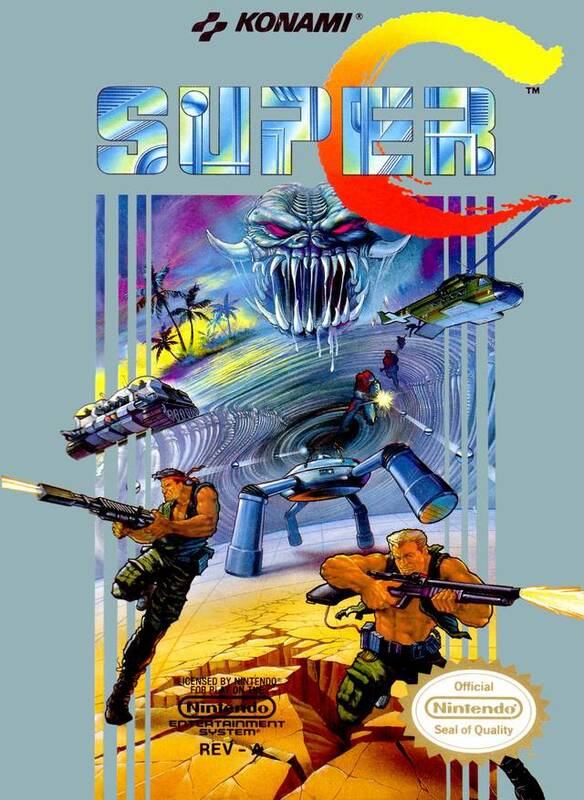 Today's video takes a look at the NES port of Cybernoid from Acclaim. 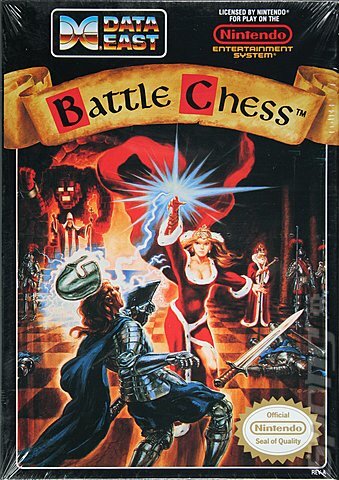 Today's video takes a look at the NES port of Interplay's Battle Chess from Data East. 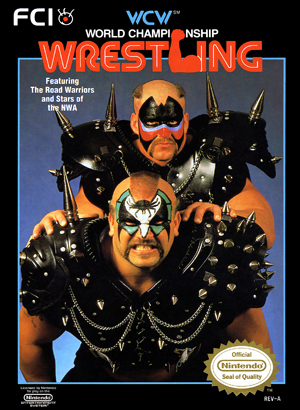 Today's video takes a look at WCW Wrestling from FCI. The Official 8-Bit Army Tee Is Back For A Very Limited Time. Hey! Did you miss out on the 8-Bit Army tee the first time they went on sale? Do you have $13 laying around? Do you need a shirt that may match those really cool sneakers you just picked up? Well, you're in luck because that very shirt is back on sale for a limited time. 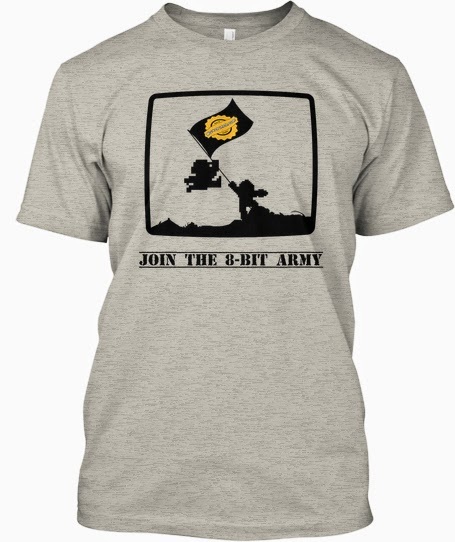 So, hop on over to Teespring and get yourself The 8-Bit Army Tee before they're gone for good. Today's video takes a look at the NES port of Electronic Arts' Skate Or Die from Konami. 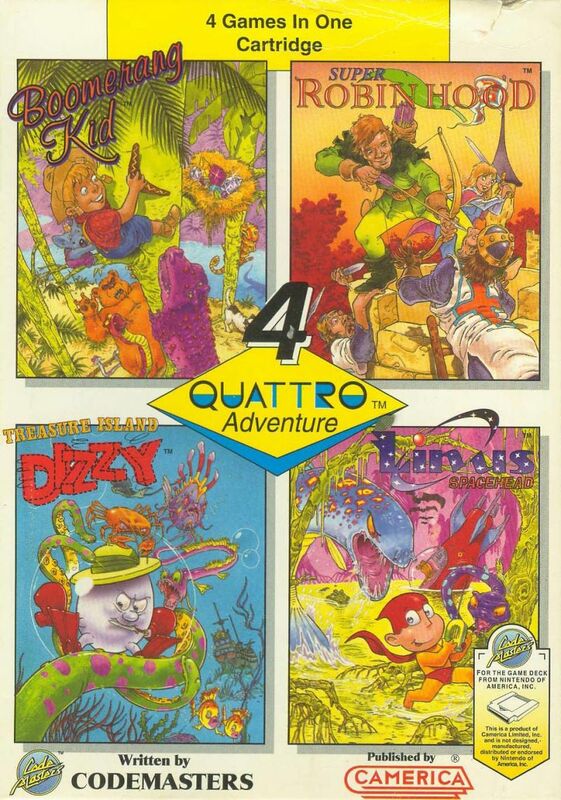 Today's video takes a look at Treasure Island Dizzy, the fourth and final game in Codemasters' Quattro Adventure multicart. Today's video continues takes a look at Boomerang Kid, the third title in Codemasters' Quattro Adventure multicart. Today's video takes a look at Linus Spacehead. The second game in Codemasters' Quattro Adventure multicart..
Today's video takes a look at Super Robin Hood, the first of the four games in Codemasters' Quattro Adventure multicart. 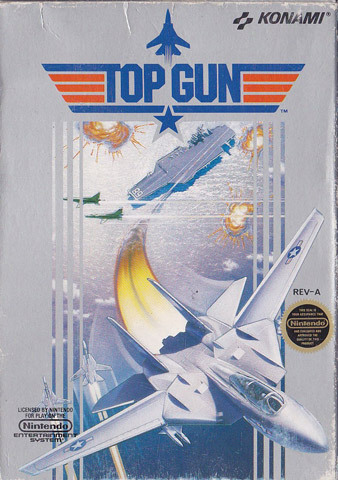 Today's video takes a look at Top Gun from Konami. 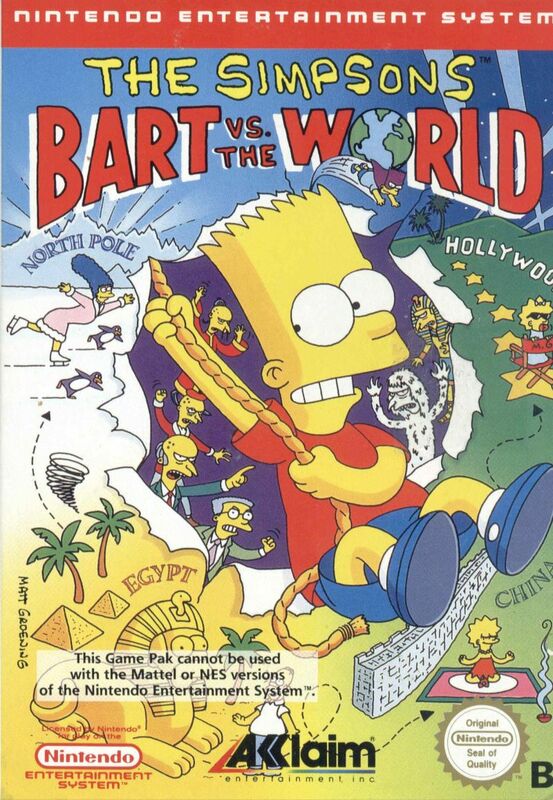 Today's video takes a look at Bart Vs. The World from Acclaim. Today's video takes a look at Solstice from CSG Imagesoft. 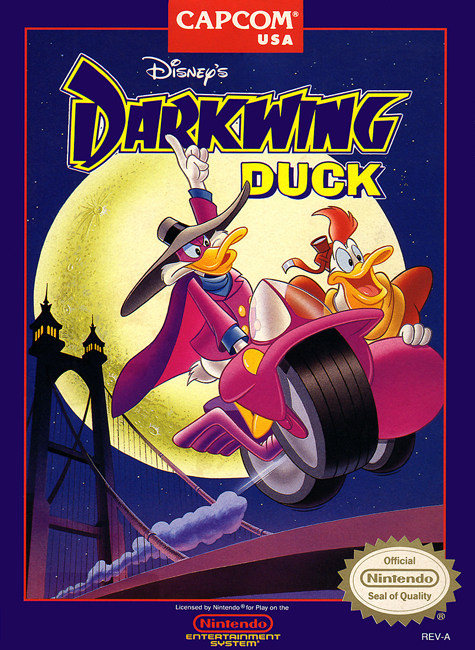 Today's video takes a look at Darkwing Duck from Capcom. 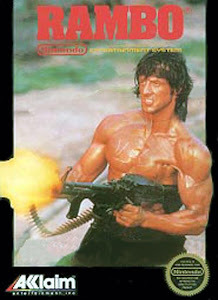 Today's video celebrates America's birthday by taking a look at Rambo from Acclaim. 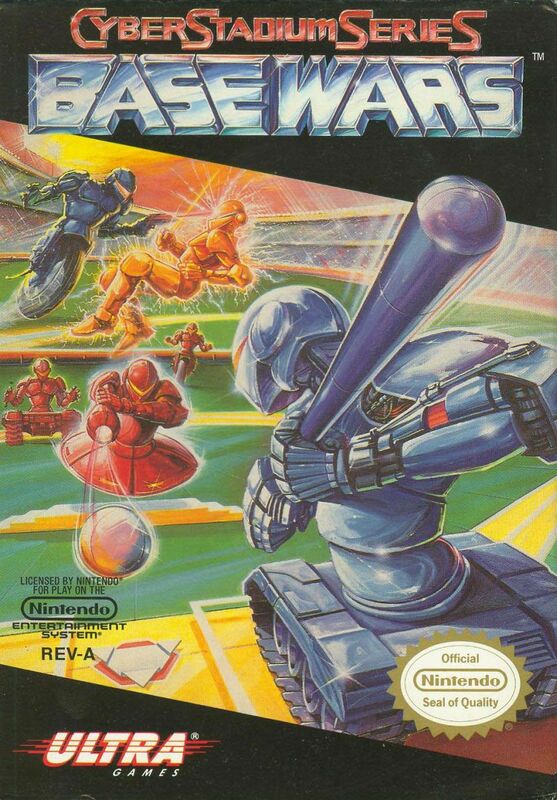 Today's video takes a look at Little League Baseball: Championship Series from SNK. Post 500 Or How I'm Still Not Sure How To Thank Y'all. So, I’ve been at a complete loss as to what to use this space to talk about. This blog has lasted for 499 previous posts, and today, I’m struggling in regards to what to say and how to say it. Sure, reaching this milestone is a testament to either the blog’s longevity or my stubbornness, but regardless it’s something that doesn’t happen often. The Digitized Ramblings Of An 8-Bit Animal began simply as a way to not lose my ability to manipulate the written word all while discussing about one of the things I’m most passionate about. I never had any allusions about this blog becoming a paying gig, or being accepted by the any of the big gaming websites. This site is apparently a niche thing, and those who do read it are appreciated. For every misgiving or doubt I have that what I’ve said in these posts simply don’t matter in the grand scheme of gaming, I always hear from readers who tell me that they respect my opinion over a major site or now defunct TV network. Knowing that letting someone know how short the story mode in Bioshock Infinite was saved a gamer from spending $60 months earlier than they really wanted to or discussing the story elements of Catherine actually inspired a couple to play it together (the first time they had done so) always brings a smile to my face. That’s the point of this blog, to give you not only an informed opinion, but to inform so that you can form your own opinion. With that all said there have been a number of times where I have legitimately considered letting this go. Self doubt, anxiety, and moments of depression are scary on their own, but combined they become a hydra of personal struggle that is pretty difficult to conquer. I regularly say that I am infinitely harder on myself than another person could ever be, but knowing that you appreciate and support what happens here reassures me that what I say here matters. Over the last four plus years, The Digitized Ramblings of an 8-Bit Animal has allowed me to share my gaming knowledge and that you have stood beside me is a blessing, and I hope you have all enjoyed what myself and the other contributors here have given you. With everything I have said here, all that is left is to thank you for being a part of this small movement that has grown into an army that stretches across the world. I’m excited about what will happen in the future and hope that you will be along for the ride. Thank you for all the love and support. Today's video takes a look at the NES port of Atari's Gauntlet II from Mindscape. 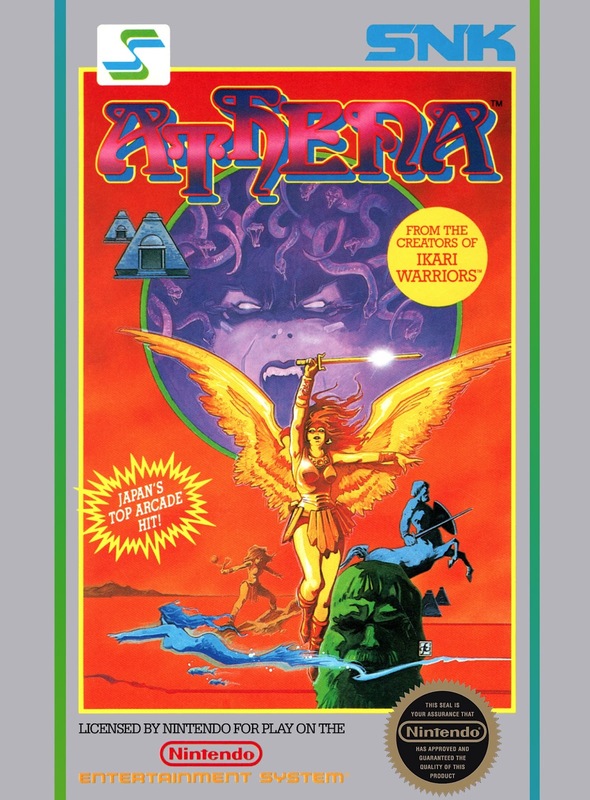 Today's video takes a look at the NES port of SNK's Athena. Today's video takes a look at the NES port of NARC from Acclaim. 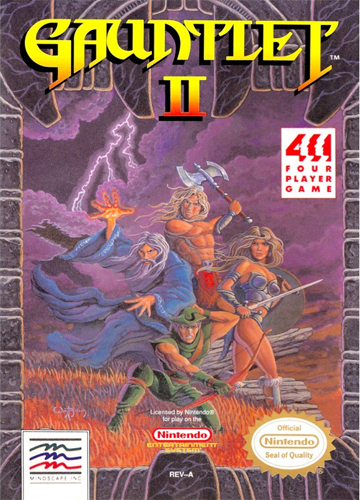 Today's video takes a look at Wizards and Warriors III from Acclaim. 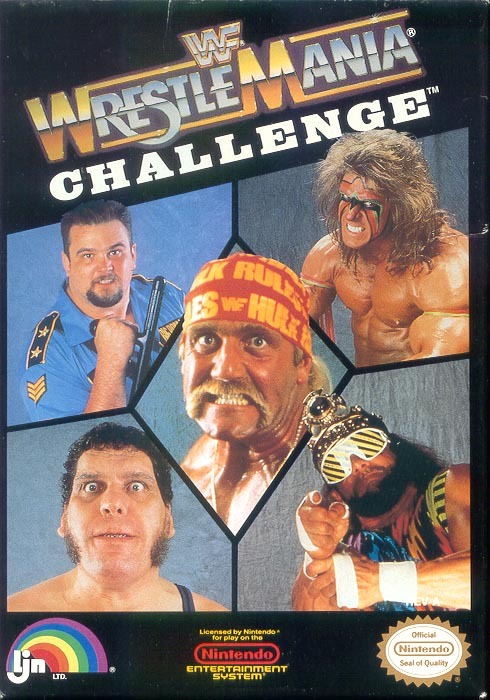 Today's video takes a look at WWF Wrestlemania Challenge from LJN. 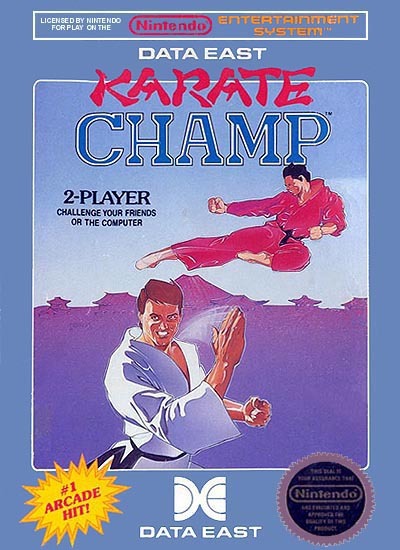 Today's video takes a look at the NES port of Karate Champ from Data East. Today's video takes a look at the NES port of Capcom's Section Z. Today's video takes a look at the NES port of Atari's Marble Madness from Milton Bradley. Today's video takes a look at Star Tropics II: Zoda's Revenge from Nintendo. Today's video takes a look at Base Wars from Konami. Today's video takes a look at Exodus - Journey To The Promised Land from Wisdom Tree. Today's video takes a look at Ninja Crusaders from American Sammy. 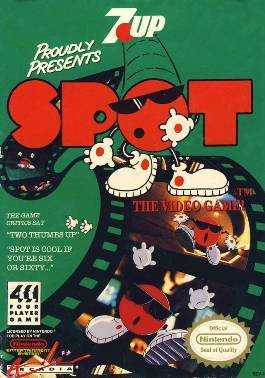 Today's video takes a look at the NES port of Spot - The Video Game from Arcadia. Today's video takes a look at the NES port of Will Wright's Raid On Bungeling Bay from Broderbund. 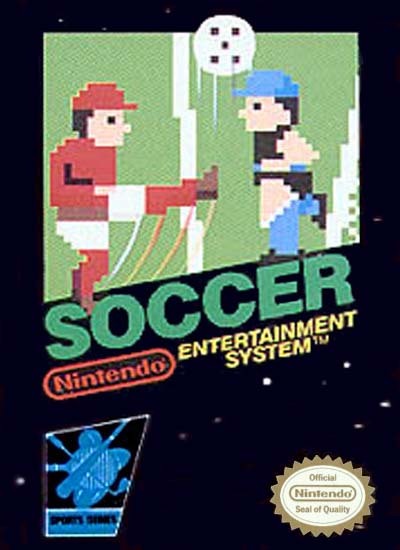 Today's video takes a look at Soccer from Nintendo. 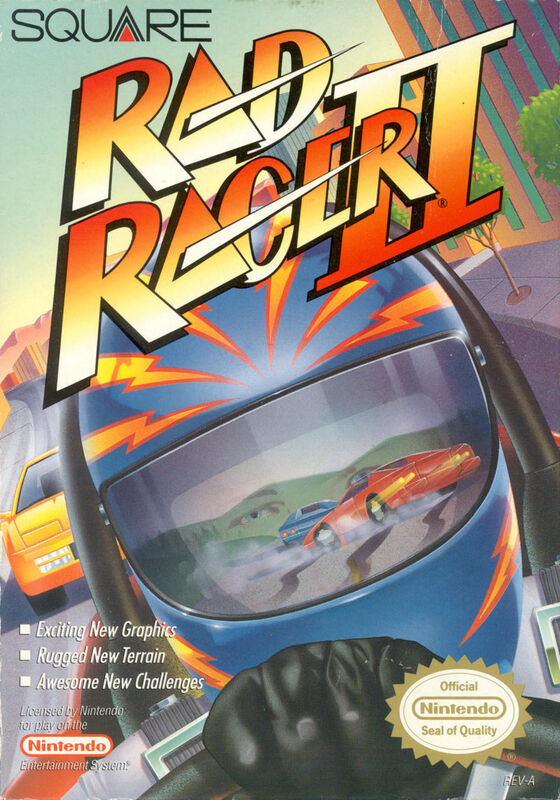 Today's video takes a look at Rad Racer II for the NES from Square. Today's video takes a look at Batman Returns from Konami. Today's video takes a look at the NES port of Data East's Karnov.